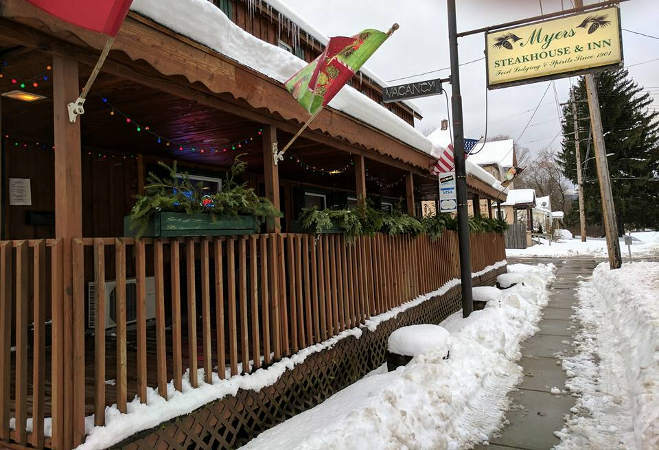 If you are looking for a fabulous steak or fresh seafood in a comfortable lodge style setting, topped off with unmatched service, Myers Steak House and Inn is the place for you! Browse our site to view our menu, area attractions, and other information about our Salamanca restaurant and inn. Always feel free to call us at 716.945.3153 or send us an e-mail with any questions or for reservations.